I've partnered with Paradise Fruit Co. to bring you these amazing cookies using their candied fruit. They sell an assortment of candied fruit, but I was most excited about using their orange and lemon peel in some cookies. 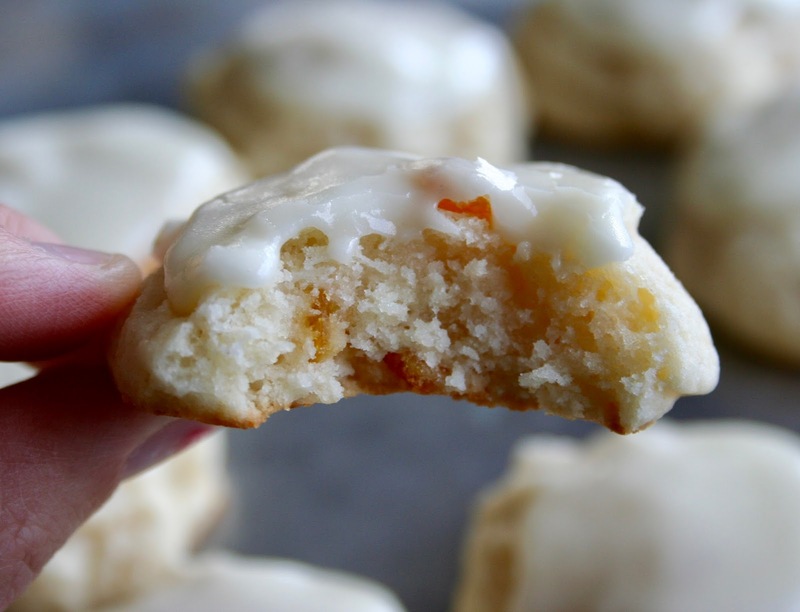 If any of you have ever heard of RubySnap in Salt Lake City, they have a heavenly cookie called the Judy that has an orange dough base studded with orange peel. That is exactly the type of cookie I wanted to recreate and I came pretty close. 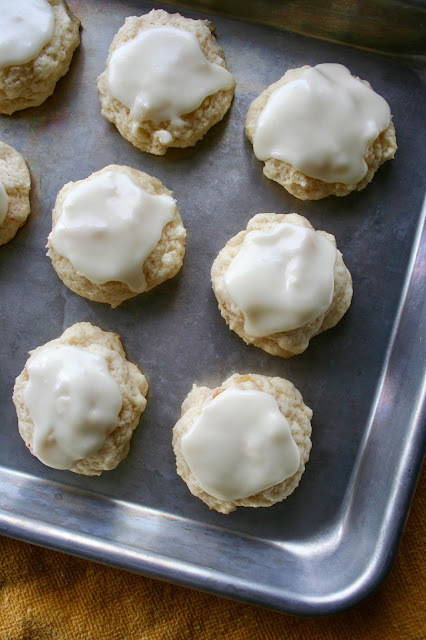 This cookie comes together in no time and I loved the addition of the lemon and orange peel. It gave it such a great flavor and texture. The cookies come out so soft and let me tell you, that orange glaze is phenomenal. I couldn't have had it turn out better if I tried. 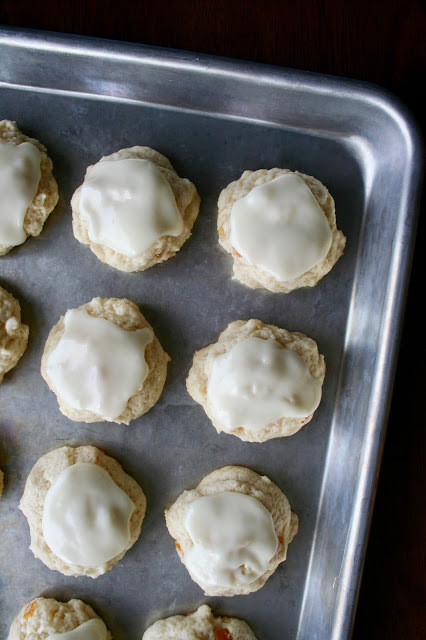 Those specks of orange and lemon peel really stand out inside these fluffy cookies. You have to try them! 1. Preheat oven to 350 degrees F. Line two cookie sheets parchment paper; set aside. 2. 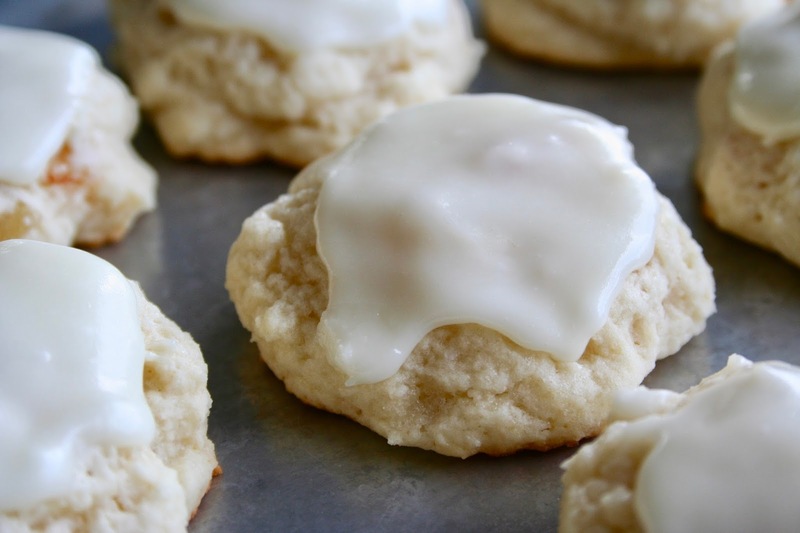 Beat the butter and sugar in a large bowl using an electric mixer about 2 minutes or until light and fluffy. Add the egg and vanilla and beat until well blended. 3. Combine the flour, baking powder and salt in a medium bowl. Add half of flour mixture to the butter mixture, beating until just combined. Add the milk. Beat about 10 seconds. Beat in the remaining flour mixture until just combined. 4. Stir in orange and lemon peel until combined. 5. Using a cookie scoop, drop dough onto prepared cookie sheets. 6. Bake 8 to 10 minutes or until set and the bottoms have browned. Transfer the cookies to a wire rack; cool completely. 7. For the orange glaze, combine the butter and orange juice in a small bowl. Add powdered sugar and beat until smooth. Spoon over cookies.